For generations the Battenkill lured anglers from around the world to its legendary banks promising a trout-fishing paradise, but some 30 years ago the river stopped giving up large numbers of fish, leading scientists, anglers, and concerned citizens to ask: What was killing the Battenkill? 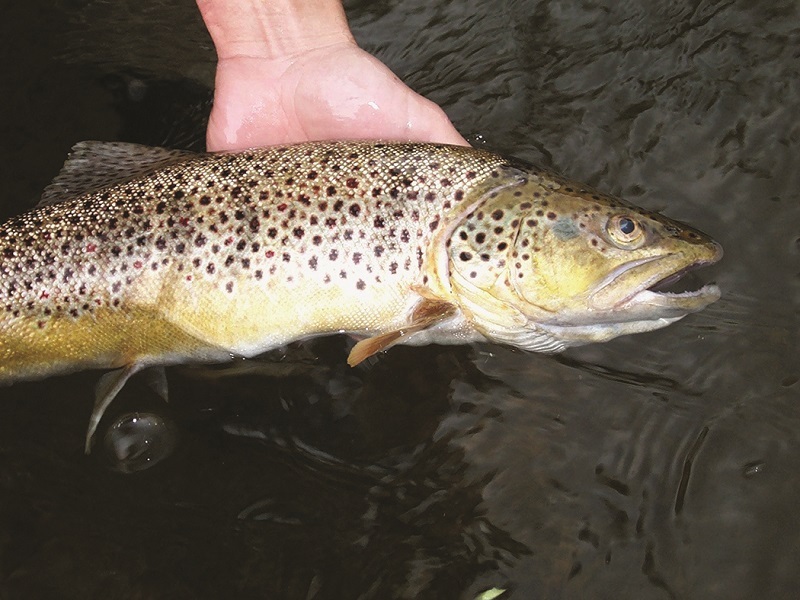 In response, the Vermont Fish & Wildlife Department restricted the Battenkill to catch-and-release, meaning anglers had to return the fish they caught back to the river. At the same time state, federal, and local biologists began to study the problem with an eye toward bringing the river back to its glory days. 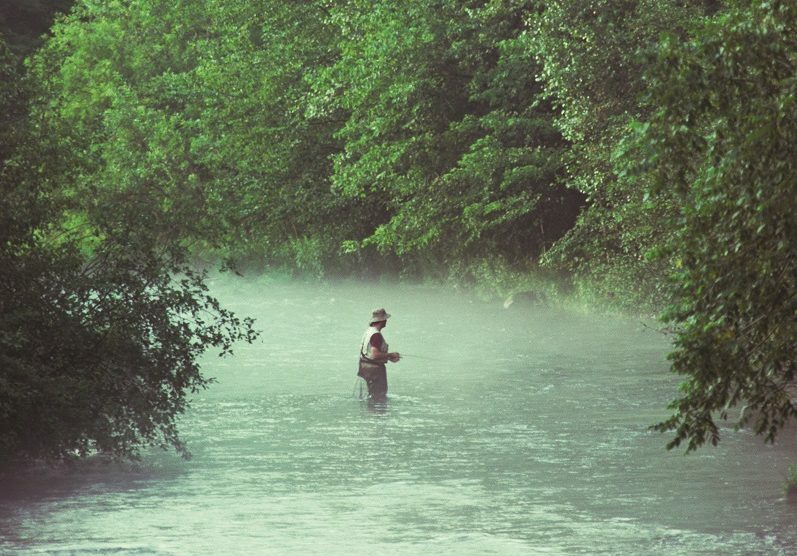 There were lots of theories about what was keeping the trout numbers down: Disease? Water quality? Water temperature? But eventually, in the early 2000s a consensus emerged: it was a habitat issue. 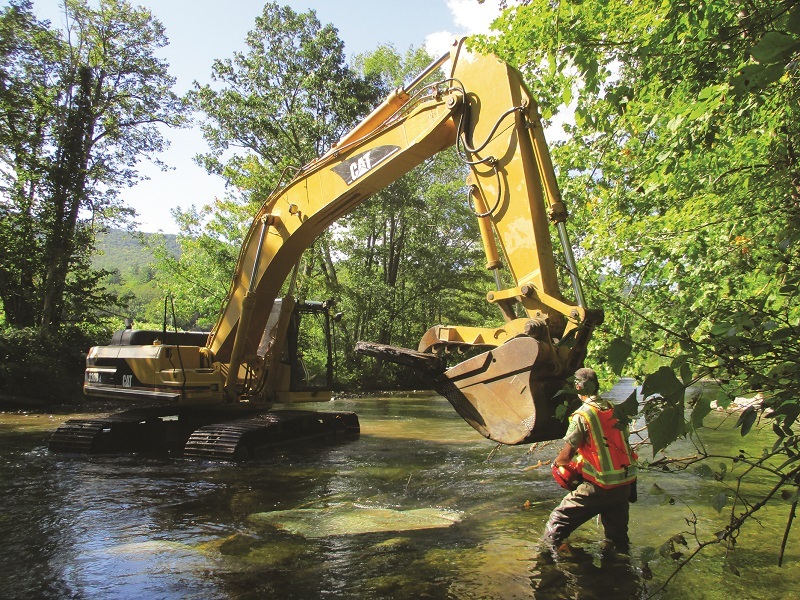 There were numerous reasons the Battenkill’s trout habitat declined, but the main causes were excess erosion and conflicts between river users. Erosion was caused by landowners cutting down the trees that held the land in place along the riverbanks. Some wanted to improve their views, others were seeking more acreage for farmlands. But the unintended consequence was a blow to the trout fishery. Meanwhile the Battenkill was becoming more and more popular with recreational users such as canoers, tubers, and kayakers. To clear a path for them, a lot of commercial renters removed fallen trees, branches, and stumps that were in the river providing cozy little fish condos for the trout. That eventually led to the main problem: a lack of cover and shelter for the fish. To address the issue, a coalition of local, state, and federal agencies, the Batten Kill Watershed Alliance and other concerned groups launched the Trout Habitat Restoration project, an effort to improve the trouts’ living conditions, to protect the banks from erosion, and to educate landowners about the need to save the trees. They began by installing man-made habitats in the river for the trout—structures made of wood and stone that would provide the cover and shelter lacking in the river. “The complex wood structures created many separate spaces for different-size adult trout to use without engaging in territorial competition,” Browning said. In other words, the medium-size trout had places to hide so they didn’t become dinner for the big trout. And in every area of the river where work was done, the goal was to make the structures look as natural as possible. The restoration efforts have shown impressive success. Before the work was done, the Vermont Fish & Wildlife Department did a fish population count in the upper 700 feet of the river in the West Arlington project area. Only three adult fish and seven young were found. Once the work was completed last September, the agency did another fish population count and found some 76 adult fish and 60 young. Fly-fishing guide Ray Berumen of the Taconic Guide Service in Manchester has seen the success firsthand. Convinced that they found a solution to the declining trout population, advocates are now trying to educate the public and private landowners along the river about the need to save the trout. 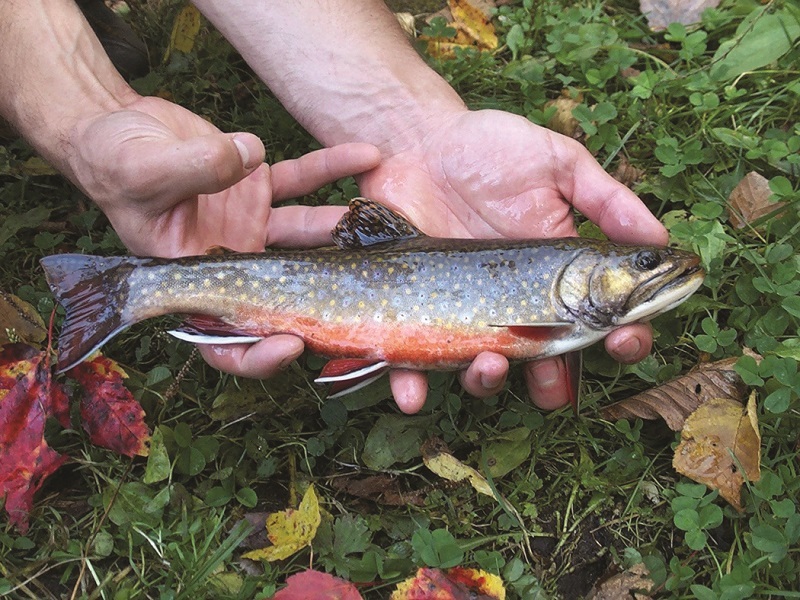 According to Lee Simard, a fish biologist with the Vermont Fish & Wildlife Department, if the public will help with conservation efforts there may not be a need for additional projects, which typically include at least 20 woodand- stone structures and can cost upward of $50,000 each. “Right now we’re focused on promoting good management of the land along the river and we’ve invited other organizations and community members to share that message,” he said. Because most of the land along the river is privately owned it will be up to the landowners to preserve the trees and vegetation along the banks that prevent erosion and to allow trees and branches that fall into the water to stay there. That said, it does not mean there can’t be some paths to the river or spots to take in the view. 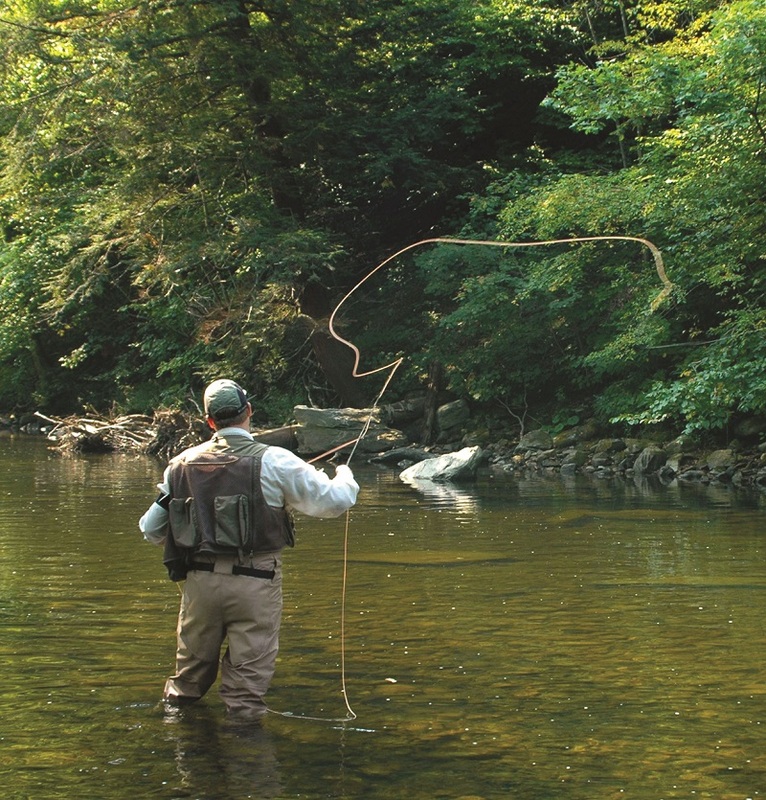 If private landowners can be convinced to plant additional trees and to preserve most of the vegetation along the banks, Simard is convinced that, given time, the Battenkill will recapture its reputation as one of the top fly-fishing spots in the country. And for the communities along the river, that is a win-win. For more information, go to battenkillalliance.org and vtfishandwildlife.com.